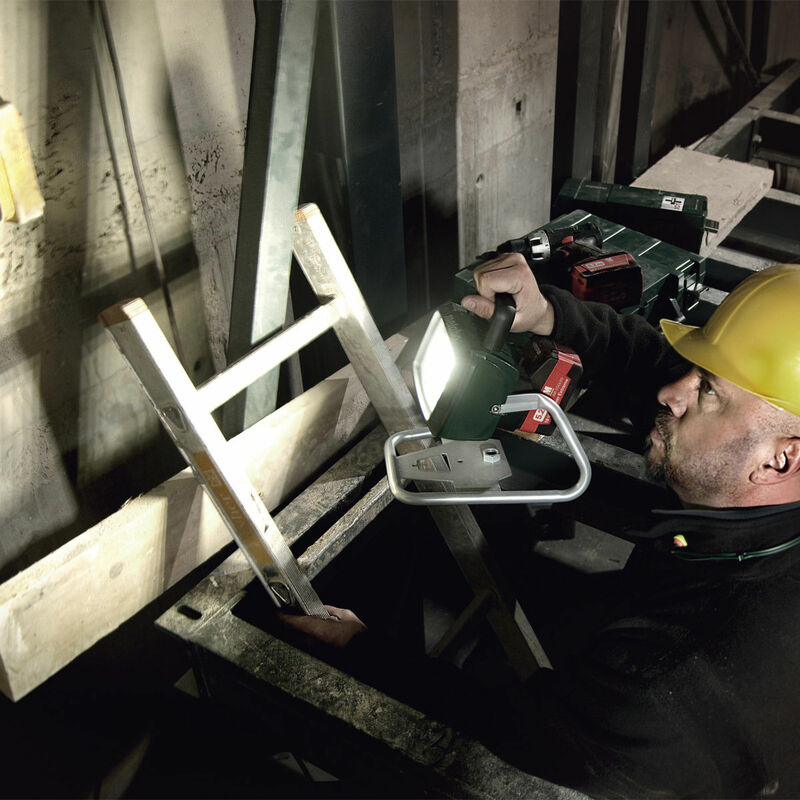 The Metabo Cordless Site Light BSA 14.4-18 LED: The worlds first real LED Site Light to run with power tool batteries. Powerful, bright, extensive and equal light even suitable for surface processing! - not just a torch. 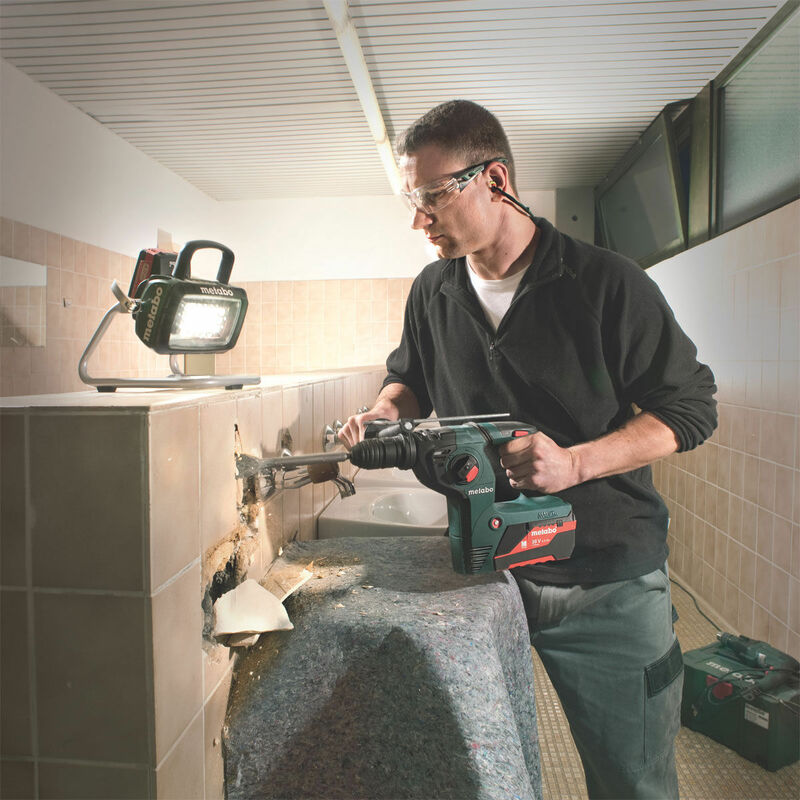 Universal application: Site Light can be placed on the ground, hang on a wall and put on an tripod (not supplied). 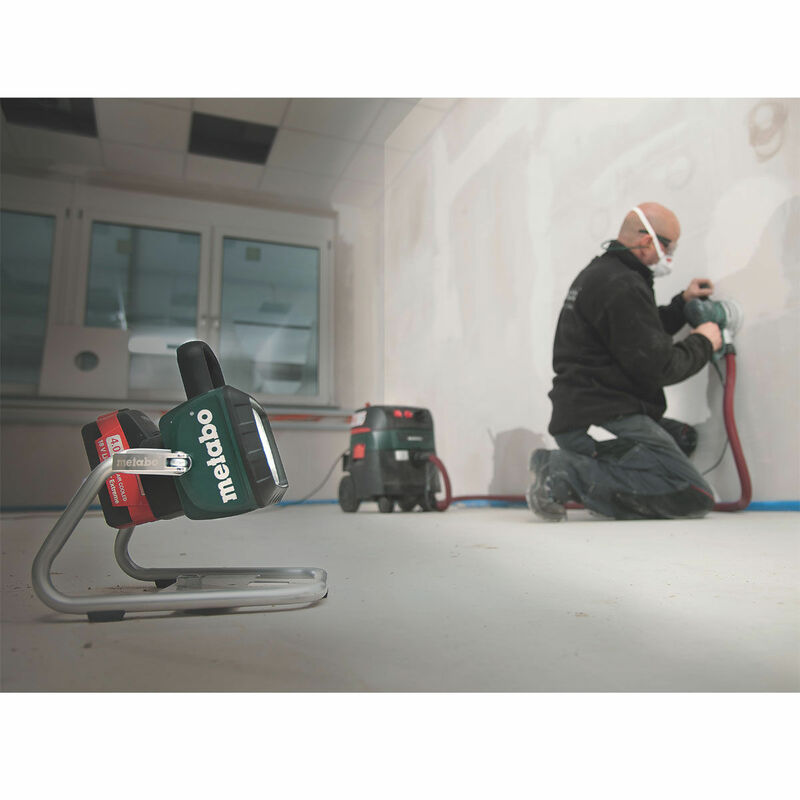 Due to its compact overall size and and its handle it can also be used as an super bright hand held operated torch. 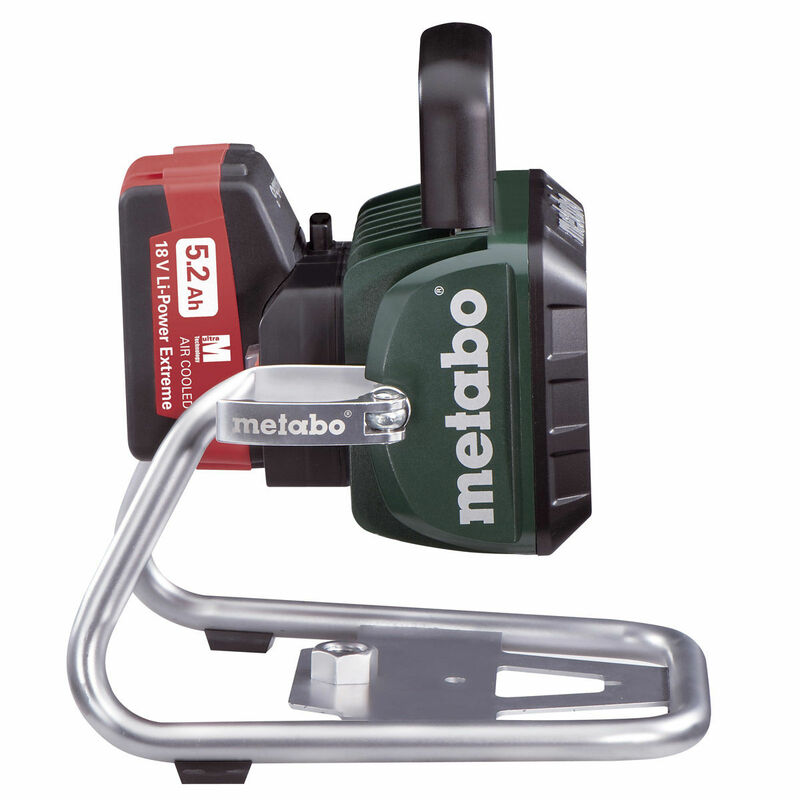 The Metabo cordless system: can be operated with all Li-Power Compact, Plus, Extreme battery packs with 14.4 and 18 volts.